Travelling from the UK to Lefkada is easy! We can help with advice and information on flights to Preveza and all the options wherever you are travelling from. Preveza / Aktion is our local airport, with only a 45 minute transfer to our base. UK to Preveza flights are available for Wednesday, Friday & Sunday departures, from a number of carriers. The first direct flight into Preveza for 2019 is Sunday 31st March and the last returning flight is Sunday 27th October. The Sail Ionian 2019 season starts on 7th April! Flights are available from Heathrow, Gatwick, Manchester and Bristol from the UK to Preveza. Flights arriving around lunchtime are ideal as you will get to go out sailing that same afternoon. For later flights, you can stay on board for the first evening. We would then do the paperwork, handover etc the following morning! NOTE: Additional flights are being added, we will keep this page as up to date as possible with new additions! Skyscanner is a great website for comparing flight times and prices. Charterflights.co.uk offers charter flights from the UK to Preveza. Greece is 2 hours ahead of the UK. If you are flying in out of season or looking at extending your holiday in another part of Greece, you could fly into Athens. Jump on the short connecting flight to Preveza with Aegean Air. If you fancy a week ashore, you can see our blog post HERE. Fly to Kefalonia and get the ferry to Nidri (on Lefkada) which is 5 minutes by taxi from our base in Vliho. You can also fly into Corfu and get a short connecting flight down with Sky Express. Or ferry to the mainland and taxi or bus to our base. 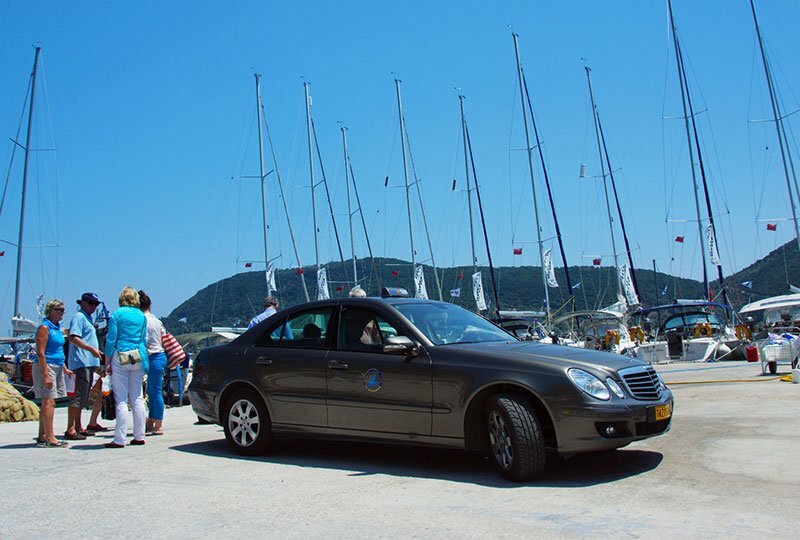 You can read our blog post HERE on alternative routes to Lefkada. Please get in contact if you need any further advice or different requirements.